The past few years have seen a dramatic rise in the number of class-based multiplayer shooters on the market. 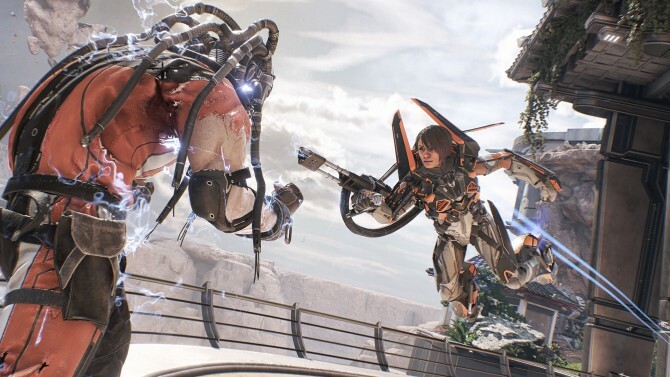 While there are a variety of different games that fall within this genre, the team at Boss Key Productions — the studio founded by Cliff Bleszinski in 2014 — is looking to mix things up and stand out from the bunch with their first game, LawBreakers. With a unique world, gravity-based abilities, faster speed, and an incredible sense of verticality, Boss Key has proven that games within the same genre can still be wildly different from one another. 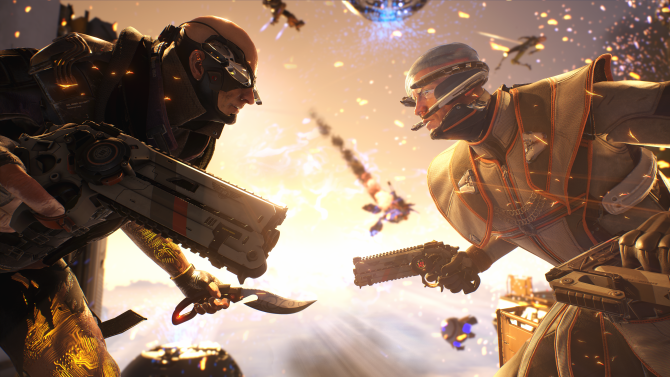 During E3 2017, we were able to sit down with Dan Nanni, lead designer on LawBreakers, to talk about where he sees the game going in the future, how they landed on the $29.99 price, and the prospects of one day seeing a campaign mode arrive. Logan Moore: For those at home who can’t see what’s happening at E3, you guys have a massive presence at the show this year. We’re in the middle of your gigantic booth on the show floor and you were even able to snag one of the large banners outside hanging on the front of convention center. What has it been like for you guys to see all of this finally coming to fruition? Dan Nanni: It’s exciting, for sure. We finally made it. We’ve been at conventions for awhile now but this is going to be pretty much it until we launch — our last big push. It’s so cool to see our banner outside and to see our community that has come back time and time again to these conventions and to see them now bringing their friends with them. It’s just cool for us to get this exposure on a game that we know is awesome. 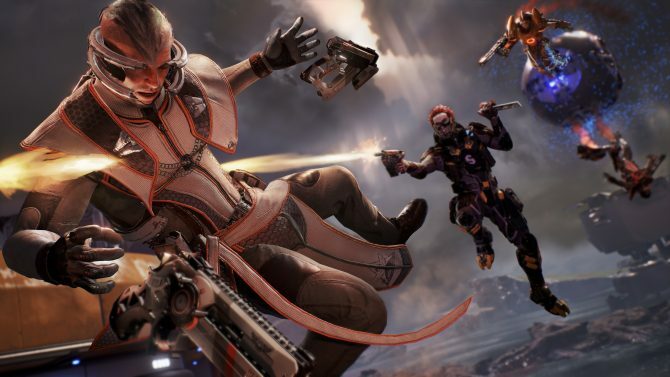 LM: LawBreakers is now coming to PS4 and I wanted to know a little bit more about how that came to be. It seemed like in the early days of the game’s development, you guys were very adamant that LawBreakers would only be coming to PC. Personally, I’m quite glad that you ended up deciding to bring the game to consoles, but what changed along the way? DN: We started out as a really small company and we were unsure of how big we would get or how ambitious the project would get. We didn’t want to try and overcommit from the beginning because we knew that it would just sink us. We committed to one platform, the PC, and we did that as best as we could. Over time though, the game grew and our team grew, so we decided that maybe our ambitions could grow with it. As we started playing around with gamepads on PC, we started to think that we could make this work into a console experience. It just became the next step logically once we knew what the game was. LM: Occasionally, developers who have living games like LawBreakers on both PC and console will tend to roll out updates for the PC version before the console version receives the same update. Maybe it’s a bit early to ask since LawBreakers hasn’t released yet, but how do you guys plan on rolling things out for both versions? DN: The plan is parity. We don’t want there to be any difference between either version. Obviously there’s going to be some things that we might have to balance differently, but who knows. Each platform is different when it comes to movement mechanisms. When it comes to features though, we want the features to be in line short of things like how PlayStation has its own voiceover IP service; we’re supporting that one and we’re doing a different one for PC. 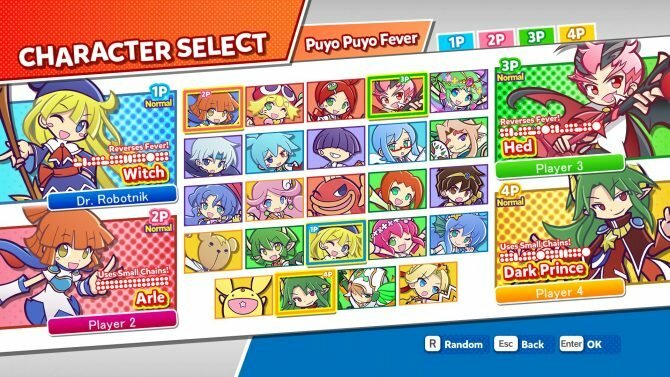 There’s differences there but otherwise if a new role, map, or mode were to come out, it would come out for both versions. As we started playing around with gamepads on PC, we started to think that we could make this work into a console experience. LM: Continuing with the talk on updates, a lot of games nowadays seem to be one thing at launch, and then 6-12 months down the road, they’re a completely different game. Do you guys have a roadmap that you see LawBreakers going down in the future and if you can share at all, what does that look like? DN: Oh yeah, we’ve got a ton of ideas. If the game comes out and blows up we’ve got years worth of ideas planned. It’s naïve for us to say that that’s what we want to do though, because we want our community to help us drive the game moving forward. Part of what we’re going to do is respond to what the community asks for. We have to allow ourselves to go back and forth with them, which might change a direction that we planned on going in. Sometimes hearing community feedback can even change the base game in a certain way. Back in alpha, our game was much slower than it used to be. Movement abilities were slower, the abilities themselves refreshed slower, and projectiles moved slower. We thought we were in a good place until our community told us, “We want it faster.” Because of that, everything went faster and we re-balanced the entire game experience to support the increased speed and mobility. The game at this point has been in the players’ hands for quite some time and they’ve given us a lot of feedback, so we think we’re going in the right direction. Maybe six months from now though when we have a certain feature planned to be implemented into the game, we find out that that specific feature isn’t what our players want. Instead, they might be demanding something else. At that point, we’re going to have to pivot and allow our community to give us information that we can then act on. 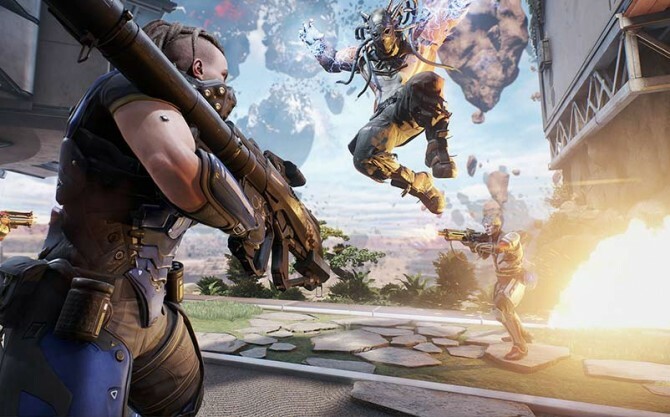 We’re excited to see what people want from LawBreakers when it comes out on August 8th. LM: Speaking of that release date, you guys announced both the launch date and the price of the game — $29.99 – this week at E3. 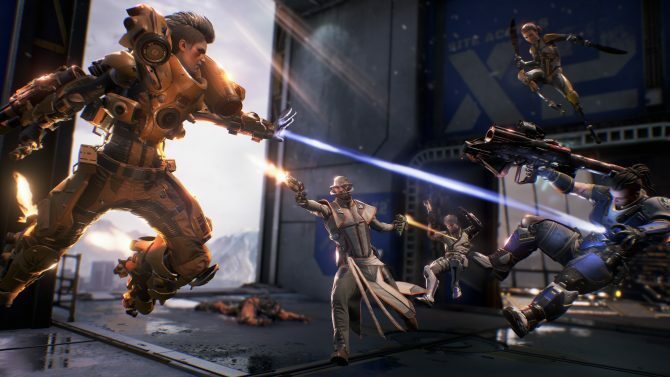 Cliff has been very outspoken about how he doesn’t want Lawbreakers to be free-to-play, so how did you come to rest on that specific price? DN: We actually decided on the price point a while ago. We realized we would have an actual price for the game the moment that free-to-play started impacting our ability to create the game that we wanted to make. Free-to-play isn’t a bad economic system at all; it just didn’t feel right for the game we were making. When we were still considering using that model, we would come up with something really awesome, whether it was a gameplay mechanic, a new role, or a new mode. We would always have to stop and ask, “Now how do we turn this into a free-to-play system?” I mean, eventually, we still have to get paid so that we can make more content, keep the lights on, and everybody can remain employed. Every time that question came up, we decided to just push it off to the side and not worry about it. We just wanted to figure out what the base game was going to be rather than worry about pricing structures. We moved forward and got to the point where we had the base game and started thinking things like, “Okay, so how we make people grind for this or unlock this thing? Do we charge to unlock a new role? What happens if one person owns this role and another doesn’t?” There were so many questions like this that were slowing the process down so we thought, “What happens if we just eliminate these questions?” After that, we realized we just wanted to create as much content as we could by launch. To us, this was a healthier direction. We knew we could put a price point on the game that would be a fair price while, at the same time, it freed us up to make an awesome game. LM: Speaking for myself, I prefer just paying one flat fee and buying a game outright. Too often with free-to-play games, I feel like I’m missing something vital that is hidden behind a pay wall. 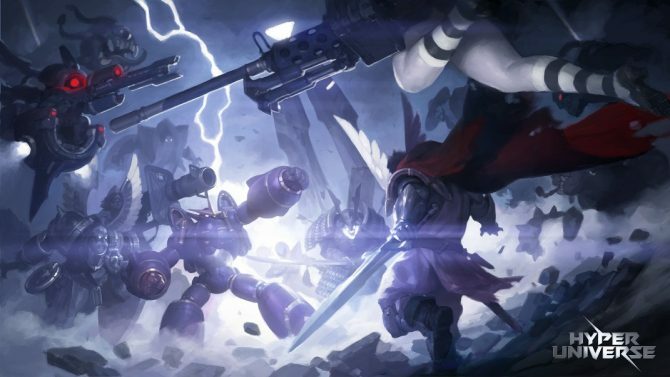 There are some great free-to-play titles, but they end up feeling hollow sometimes. 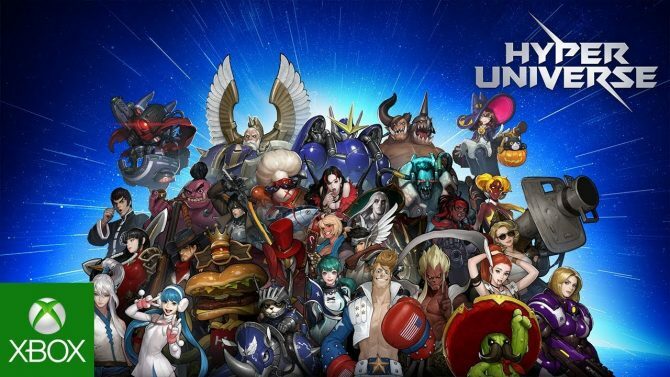 What’s perhaps the strangest thing about free-to-play to me though is that the gaming community seems to be divided about their opinion on them. People have this stigma with free-to-play games that they are automatically of a lesser quality because they’re free but at the same time, when developers like yourself come out and put an actual price point on your game, you’re faced with backlash from the same people as they tell you that you should’ve made the game free instead. DN: Exactly. 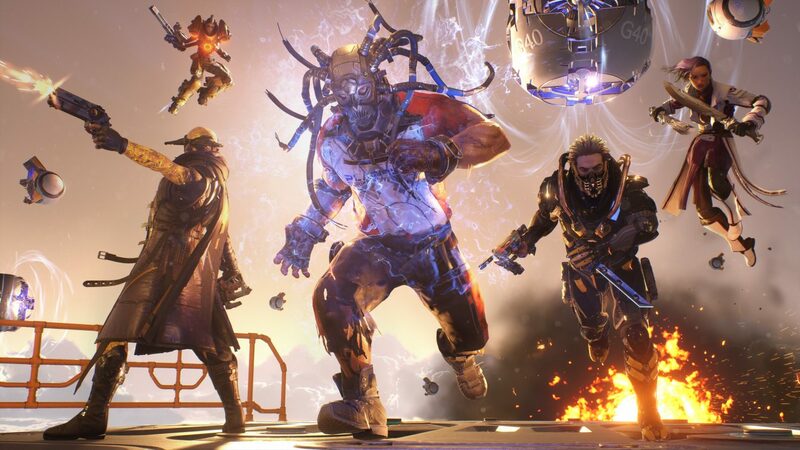 Another issue for us was that we didn’t want to support LawBreakers 3-4 years into the future and try to figure out whether we needed to charge for new maps, new roles, or whatever else. These are just things that we didn’t want to have to try and figure out. To us, just charging you $29.99 once means you get it for life. You’ll get all maps, modes, and roles that we add in the future, and that seemed fair for everybody. Plus, we get an upfront payment which allows us to make more content. In the end though, LawBreakers is a competitive game and it’s super important for us to remain fair. To us, just charging you $29.99 once means you get it for life. You’ll get all maps, modes, and roles that we add in the future, and that seemed fair for everybody. LM: You see a lot more developers and publishers doing the same thing right now with their competitive shooters. For example, EA announced recently that Battlefront II wouldn’t contain a season pass — something that split their player base up drastically with the first game. 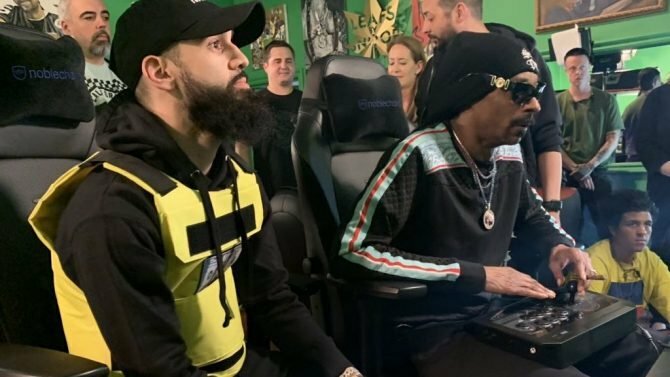 We’re starting to see these studios realizing that it’s so much more valuable to keep your community together rather than split it up. How important was this for you guys with LawBreakers? DN: Oh, it’s super important for us. That’s one of the main reasons why it’s one price to get in and stay forever. All of us collectively at Boss Key have worked on games that have seen our user base fracture and it’s because of old DLC models that this happens. I mean, you suddenly purchase a piece of DLC for $15 and I decide that I don’t want to purchase that, then we all of the sudden can’t go online and play the same maps together. It’s annoying and it’s not fun. As a player, I’m even upset that I can no longer play with my friends. This means one of two things happens: I purchase the DLC to stay with my friends and I regret it, or the person who purchased the DLC has to stop playing those extra maps he bought so that he can come back and play the base maps with me. Nobody wins in that situation. I mean, the developer gets short-term money, sure, but in the end people are upset at the developer or publisher. The experience overall becomes poor, then people leave, and then the user base dwindles. It never seemed healthy. For us, we want a healthy environment and we want everybody online at any given time not worrying about another gate or barrier that could stop them from playing. You want to play with your friends? Just play with your friends and enjoy that time. LM: Let’s touch on the actual gameplay of LawBreakers for a second. It seems to be very much akin to older competitive shooters of the past like Quake or Unreal Tournament, but it has this incredible sense of verticality that you don’t find in many other games within this genre. How early was that verticality implemented within the design of what you wanted the game to be? DN: The verticality was right from the get-go. When I talked to Cliff [Bleszinski] originally before I ever signed on with the company, he knew he wanted gravity to be a pillar of the game. We didn’t have a game yet, but we knew gravity was going to be a central part of the experience. When we began working on it, we had a lot of different ideas of what that gravity could be. A lot of the times it was used as “map control” where you could do things like ride gravity waves or maybe you’d hit a certain section of the map and the gravity would then rip you down to a chasm or something down below. Those were all cool but we found that every time we played it, we found that players were mad at the level designers for putting gravity in a “bad place.” From there we thought, “What if we gave the gravity to the players and let a more neutral style of gravity exist within the map?” That’s where we are right now. We put the more dangerous forms of gravity in the player’s hand; the stuff that shoots them off the map or prevents them from moving. The low gravity and Zero-G style gravity was what stayed in the map itself. 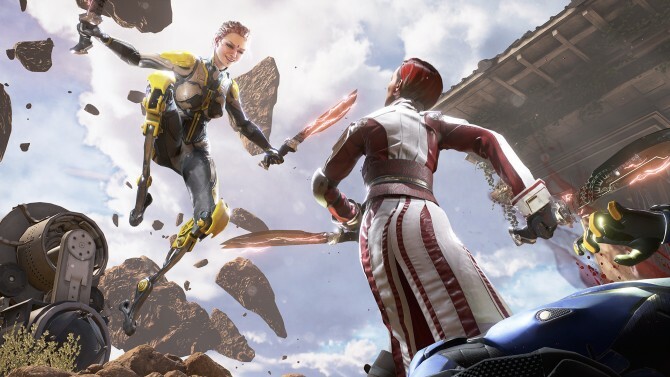 LM: I mentioned some of the other games a moment ago that you guys have been compared to and there’s plenty of others that people have been comparing LawBreakers to. Do those comparisons annoy you, or do you understand that it’s just a natural thing? DN: It’s a normal thing. Every game, movie, or whatever, elicits comparisons. We’re not inventing a new genre with LawBreakers, but we’re coming up with a new way of playing within that genre. An action movie is an action movie, except for when it’s not. Just because you have a first-person camera and a gun in your hand doesn’t mean that you’re the same exact game that has existed before. When you look at those games you’re making comparisons to — if you really want to pull it back — it’s been around for a good twenty years. This genre has been here for a very long time and we’ve proven that people just want more of it with a new style of experience. This is what LawBreakers brings. 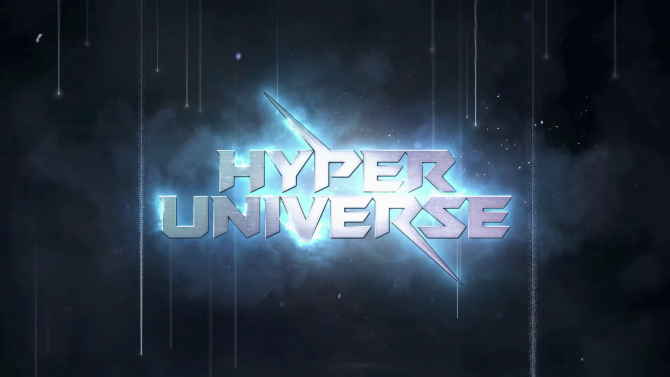 It’s our game because we weren’t trying to make it as a competitor to anybody — we made it because we thought this is what was missing in the FPS space: a vertical, close-combat, frantic game that has some throwbacks to old-school play with a more modernized role-based selection system that centered on maximizing a certain play style. That’s what we thought was missing, so that’s what we made. We knew gravity was going to be a central part of the experience. LM: There has been renaissance of sorts in the competitive shooter space over the last few years and there’s a lot of crossover between certain titles. 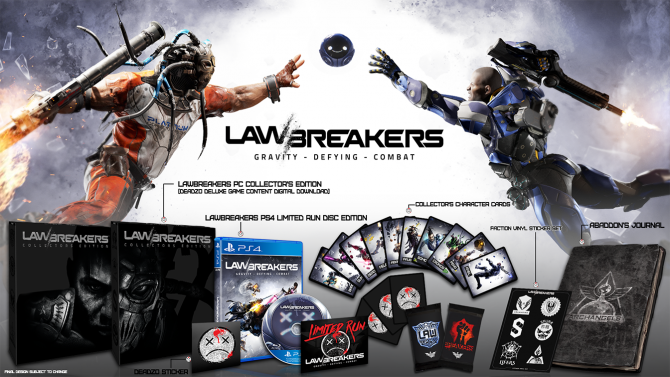 Does that drive you guys even harder to make sure that LawBreakers stands out amongst the crowd? Or do you guys not really focus on those competitors? 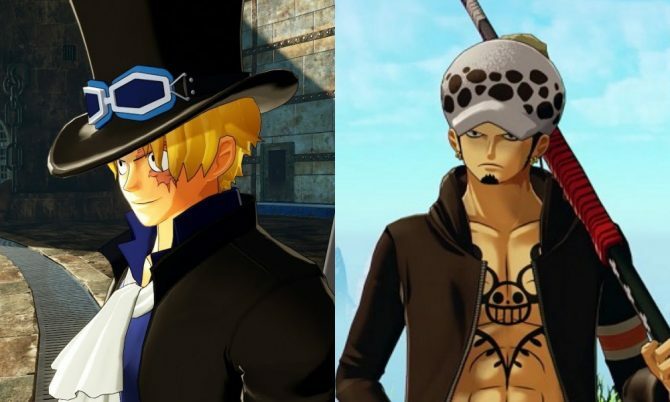 DN: It’d be silly for us to not pay attention to competition because the one thing that the game development community is good at is accidentally making the same style of game. It’s due in part because we all watch the same movies and read the same books – it’s pop culture that we’re influenced by. When we see something in pop culture that inspires us, we want to make a game about it. It’d be silly for us to not pay attention to competition because the one thing that the game development community is good at is accidentally making the same style of game. LM: Personally, one of my favorite aspects of LawBreakers is how fleshed out you guys have made the world in which it takes place. I think the world you’ve built, as well as the characters, are fresh and unique. If the game comes out and does incredibly well, have you guys ever kicked around the idea of adding a campaign mode? 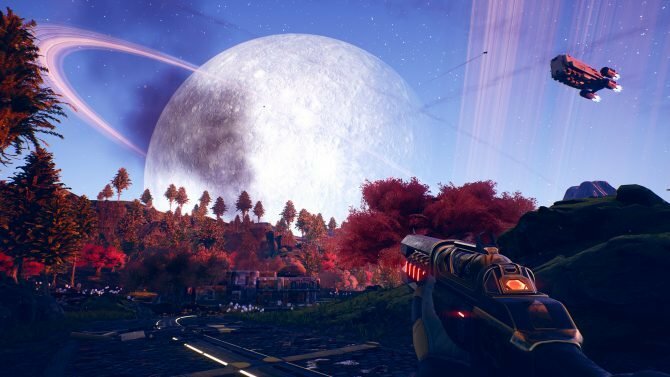 If you have, is that something you would end up adding on to the current LawBreakers, or would that only occur in a potential sequel? DN: It’s not something I would say is never going to happen, but currently the game isn’t built for a campaign. For instance, campaigns require you to have AI. In our game – a full multiplayer game – we don’t have AI. So in order to make a campaign, well, first we would need to think about how to come up with AI. Then, we would have to come up with a completely different style of maps that make sense for these characters. I would never write it off though because we would love to see this product grow. We’d love to see it become bigger than it has started out. Doesn’t mean that the campaign is going to be a straight-up single player campaign: maybe it’s a co-op campaign, maybe it’s four players running around together where you choose different characters and you have to complete objectives. Who knows? These are all just far out ideas – ones that we have talked about by the way – but we would love to see it go that direction. I don’t ever see it being like a LawBreakers 2; I see it as 3-4 years from now adding on this co-op campaign structure and growing the game to become something bigger. So can a campaign be there? Yes it can be. Will it be there? No idea. LM: PS4 Pro – what are you guys doing with that system? What’s it been like for you guys to dive into that piece of hardware and figuring out how to get LawBreakers running on it? DN: Our COO worked at and founded Guerilla Games so he knows the PlayStation pretty well. Between that and a bunch of us having worked on consoles for a long time, it’s just like putting on an old hat. As far as PS4 Pro goes, we’re maximizing its uprezzed potential. If you have a 4K monitor, take advantage of it. The nice thing about it is that we’re still running at 60 frames per second. The important thing for us is quality and performance. The game has to look good and the game has to play good. We also won’t just be getting 60 frames on PS4 Pro, we’re also going to get it on the baseline PS4. It’s all about that quality competitive experience and if we don’t deliver on that, we’re failing ourselves and our consumers. LM: So Dan, I always like to end on a question like this when interviewing someone: what’s one thing about LawBreakers that you would really like our readers at home know about that you really haven’t talked about at length? DN: I’ll touch back on something that you mentioned, which were the characters and the world. I don’t think anyone would expect this, but LawBreakers is filled with lore. There’s a ton of it. Exposing it is always going to be a little bit difficult but when you run around the maps, you’ll find little stories kind of littered throughout. Every mode even has a reason for existing. In fact, every mode has a linked reason for existing next to another mode, storyline-wise. Every role and character has a reason for existing and there are hatreds and biases between them. There’s even a reason why the moon has exploded – it’s because of a direct result of one of our characters. Everything has a thread that runs through our game. Over time, we’re going to be exposing that thread and revealing more of the story. I encourage you to have fun and dig around. We’re hopefully going to be able to go into more depth after the game launches and expose more of that. LawBreakers releases on August 8th, 2017 at $29.99 for both PS4 and PC.